The title "Nice Rak" is a pun that showcases the dichotomy of content and form in this exhibition. It is a double entendre; at once a derogatory term describing an agreeable set of breasts, as well as a play on the Russian word for cancer (Rak). This exhibition continues my desire to centralise the disfigured body and extoll non-traditional forms of female beauty through art. With influences coming from both Classicism and contemporary art, the selection of works represent the aesthetic tension between the beautiful and the grotesque. 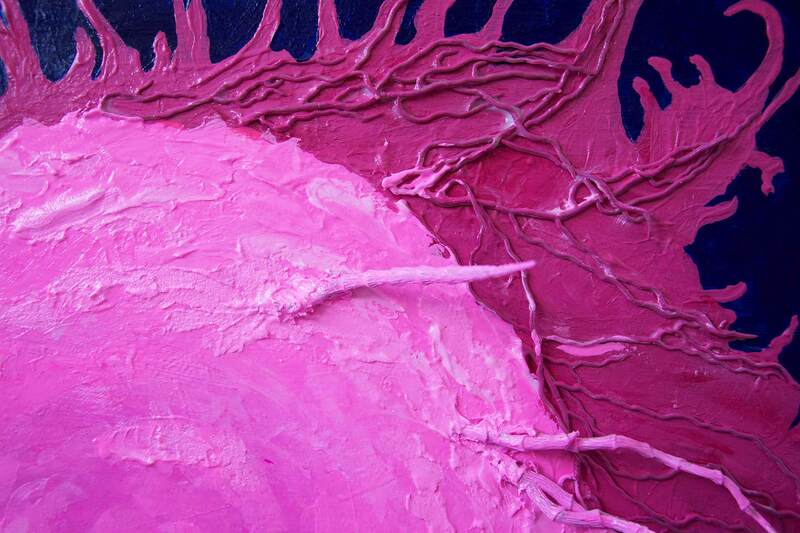 When looking at breast cancer in a creative context, it is impossible to explore these issues without considering body image, disability and the shame society has bestowed upon breast cancer sufferers and survivors. 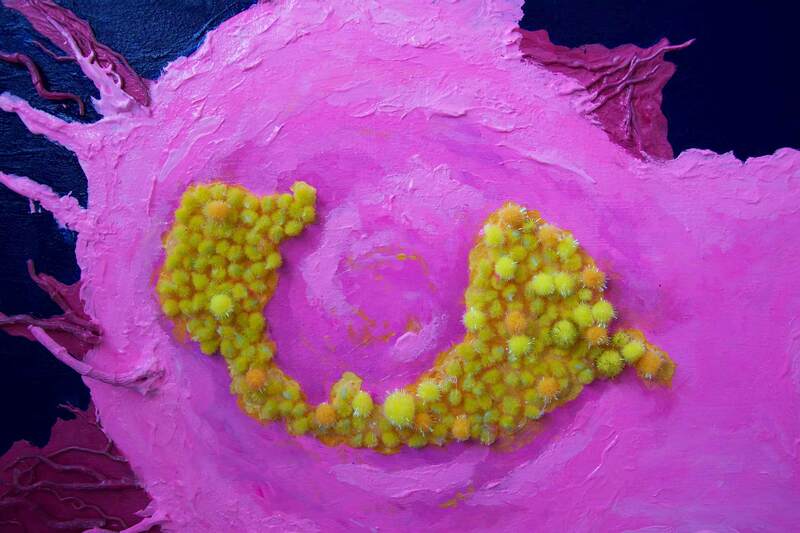 The paintings depict graphically visualised cancer cells within a flamboyantly vivid colour palette. 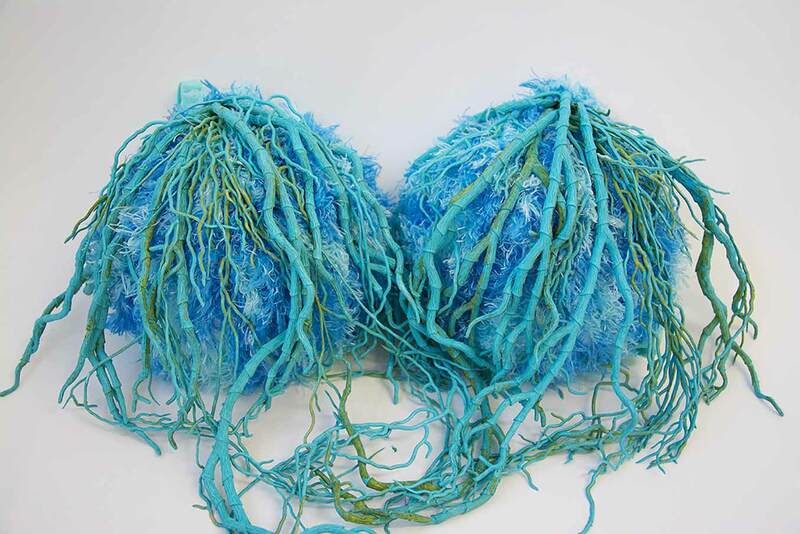 These cancer cells then reappear as lingerie sculptures, and then again when worn by a breast cancer survivor who has undergone a double mastectomy (in addition to several other surgeries). 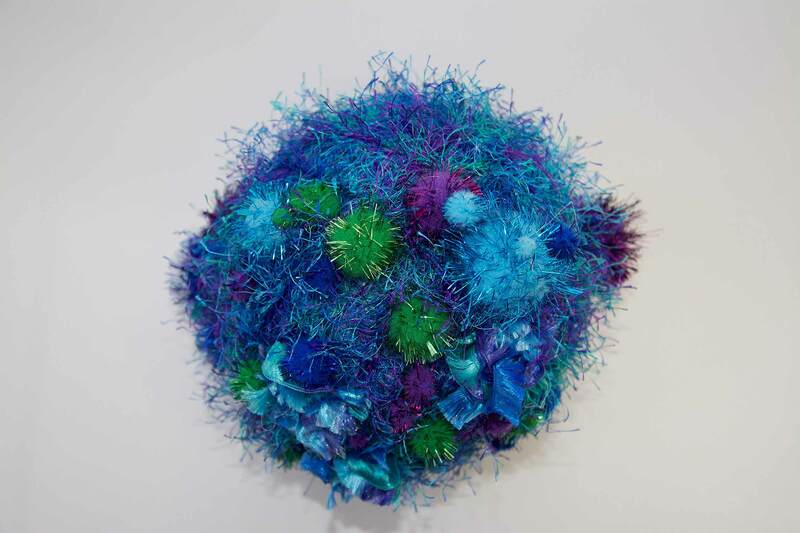 Creating works that are grounded in cancer, yet presenting it in a visually compelling and inviting way speaks to the paradox of attempting to transform something that is mired in negative connotations into an image that is tinged with beauty. 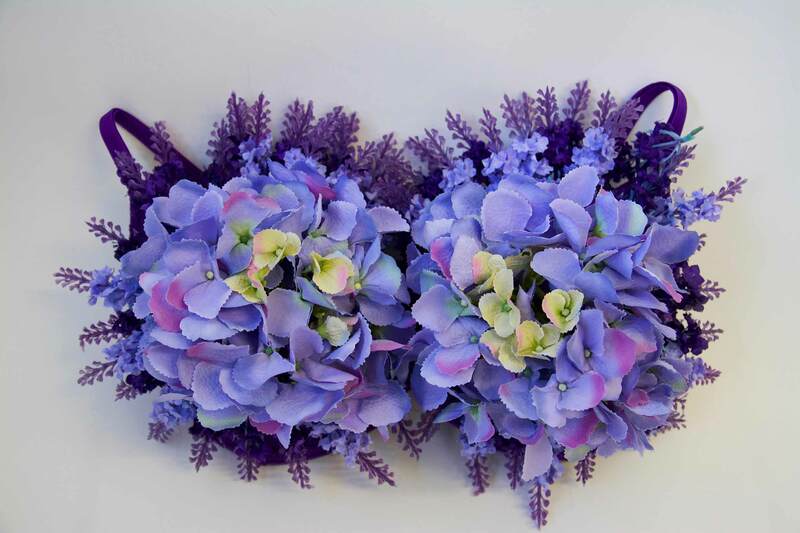 Transforming a cancer cell into a piece of lingerie allowed my mother to feel her most feminine. By depicting subjects like cancer and disability — which still carry a strong stigma within society — within an inviting colour palette opens the dialogue of these “taboo” topics. By using aberrant combinations of scale and colour, I am creating work about cancer which I hope is impossible to ignore.